Many people on the right and left are calling for Hillary Clinton to shut up and disappear. Why? Because she’s a woman. There’s no other explanation given the history of how vocal and active defeated Presidential candidates have been throughout our nation’s history. New York Times bestselling author and history podcaster Michael Duncan helps us explore the timeline. John Adams was defeated in 1789. He would become Vice President, and then later run for and win the Presidency. Thomas Jefferson was defeated in 1796. He started a political party so it wouldn’t happen again. He became President in 1800 in a bitterly contested race. Charles Pinckney was defeated in 1804. He was again defeated in 1808. DeWitt Clinton was defeated in 1812. He would become Governor of New York from 1817-1822, and then again from 1825-1828. Rufus King was defeated in 1816. He stayed in the Senate as a principal leader of Federalist opposition until 1825. He was then made ambassador to the United Kingdom. Andrew Jackson was defeated in 1824. He would run again four years later and win. Henry Clay was defeated in 1824. I wonder if we’ll ever hear from him again? John Quincy Adams was defeated in 1828. He went on to serve a long and fairly distinguished career in the U.S. House of Representatives. Henry Clay was defeated again in 1832. Clay was one of the most prominent politicians of his era and tried to be President consistently. William Henry Harrison was defeated in 1836. He would run again four years later and win. Henry Clay was defeated in 1844 again. It’s almost as if people who run for President believe they have important things to say. Lewis Cass was defeated in 1848. He stayed in the Senate until 1857. He then became Secretary of State from 1857-1860. Martin van Buren was defeated again in 1848. He tried for another bite at the apple with the new Free Soil Party. Winfield Scott was defeated in 1852. He stayed on as the Commanding General of the Army until 1861. He remained one of the most famous and popular figures in America until his death. John Fremont was defeated in 1856. He challenged Abraham Lincoln for the nomination in 1864 because Lincoln was not radical enough for his tastes. Reminds me of people on the left today that loathe Obama and Hillary. George McClellan was defeated in 1864. He served as chief engineer of the New York Department of Docks (1870–72) and in 1872 became president of the Atlantic and Great Western Railroad. He served one term as governor of New Jersey (elected 1877). Horatio Seymour was defeated in 1868. He remained active in NY state politics. Horace Greeley was defeated in 1872. He died less than a month after the election which I guess would suit some of Hillary Clinton’s detractors just fine. Samuel Tilden was defeated in 1876. He was the leading Democratic candidate for the nomination of 1880 but poor-health and a damaged reputation led him to decline. Gen. Winfield Scott Hancock was defeated in 1880. He was elected President of the NRA in 1881. He stayed on active duty in the Army until 1886. James C. Blaine was defeated in 1884. He stayed active as Republicans leader, but successfully dodged an attempt to draft him into the 1888 nomination. He did consent to be Secretary of State from 1889-1892. Grover Cleveland def 1888. Cleveland would run again and win again in 1892 making him the only President elected on two non-consecutive occasions. Benjamin Harrison was defeated in 1892. He remained an active, if semi-retired, writer and lecturer. William Jennings Bryan was defeated in 1896. This is just the beginning for him. William Jennings Bryan was defeated in 1900. It’s not over yet. Alan B Parker was defeated in 1904. He continued as an active Democratic leader, and would later serve as President of the ABA. William Jennings Bryan was defeated again in 1908. He would finally settle on serving as Secretary of State from 1913-1915. Theodore Roosevelt was defeated in 1912. His presidential foreign policy of speaking softly and carrying a big stick did not pertain to his politics. He spoke very often and very loudly. William Howard Taft was also defeated in 1912. He would become Chief Justice of the Supreme Court from 1921-1930. I wonder if people would be happy if Clinton were nominated for a SCOTUS seat? Eugene V. Debs was also defeated in 1912. They threw him in jail. Lock her up anyone? Charles Evan Hughes def. 1916. He would become Secretary of State from 1921-1925. He succeeded Taft as Chief Justice from 1930-1941. That’s two losers in a row who went so quietly they combined to run the Supreme Court for 20 years. James C. Cox was defeated in 1920. He went on to build a major media empire which still exists today. Nothing quiet or inactive about that. John W. Davis was defeated in 1924. He remained one of the most prominent lawyers in America. He was later implicated in the Business Plot, a plan to overthrow FDR. He defended accused spy Alger Hiss, and argued AGAINST Brown v. Board at SCOTUS. Al Smith was defeated in 1828. He tried to run again in 1932, but was beaten by FDR. He routinely denounced the New Deal, and vocally supported war with Germany. Herbert Hoover was defeated in 1932. He spent the 1930s and 40s railing against FDR to anyone who would listen. He tried to run for President again in 1940, and served on various commissions under Truman and Eisenhower. Alf Landon was defeated in 1936. While he never ran for office again, he remained a leader in Republican Party. He declined a position in FDRs cabinet because FDR wouldn’t promise not to run for a third term. Wendell Willkie was defeated in 1940. He vigorously supported FDR during WWII. He ran for President again in 1944 but was defeated and died later that year. Thomas Dewey lost in 1944. He came right back and lost again in 1948. As a leader of the eastern Republicans at the 1952 national convention, he played a key role in the nominations of Gen. Dwight D. Eisenhower for president and Sen. Richard M. Nixon for vice president. He remained a close adviser to Republican administrations but thought his age precluded acceptance of an offer by President Nixon in 1968 to serve as chief justice of the United States. Adlai Stevenson lost in 1952. He came right back and ran again in 1956. With the election of Pres. John F. Kennedy in 1960, Stevenson was appointed chief U.S. representative to the UN, holding cabinet rank and the title of ambassador. He served until his death, helping to assuage some of the worst international tensions—brought on by the financial difficulties of the parent organization, by the Cold War, and by the sensitivity of emerging African and Asian nations to traditional Western leadership. Richard Nixon lost in 1960. He ran for Governor of California in 1962 and lost. He ran for President again in 1968 and won. Barry Goldwater lost in 1964. He ran for Senate again in 1968 and won where he stayed until 1987. Hubert Humphrey lost in 1968. He ran for the Senate again in 1970 and won where he remained until he died in 1978. George McGovern lost in 1972. He remained in the Senate until 1981. He attempted another run at the Democratic nomination in 1984. Gerald Ford lost in 1976. He angled for a re-match with Carter in 1980, but gave it up when Reagan came along. Jimmy Carter lost in 1980. Arguably, Carter was more active, vocal and influential after losing the presidency than when he had it. Walter Mondale lost in 1984. He was Ambassador to Japan from 1993-1996. He was the Special Envoy to Indonesia in 1998. He replaced the late Sen. Wellstone on the ballot for Minnesota Senator in 2002 but lost. Michael Dukakis lost in 1988. He served out term as Governor then entered academia though he served as the Amtrak Board of Governors. George H.W. Bush was defeated in 1992. Transitioned to ceremonial role as a Former President. Two of his sons became governors. One of them became President eight years later. Bob Dole lost in 1996. Discovered he had a sense of humor. Was in Viagra ads. Husband of Sen. Elizabeth Dole, 2003-2009. Al Gore lost in 2000. Remained a vocal center-left activist. Made a very popular documentary about climate change. Started a TV network. Started the Retirement Beard trend. John Kerry lost in 2004. Remained in the Senate until 2013. Secretary of State, 2013-2017. John McCain lost in 2008. Remains in the Senate to this day. You might have noticed. He’s on TV a lot. Mitt Romney lost in 2012. After an unsuccessfully decade spent running for President, angled for Secretary of State in late-2016. Currently running for the US Senate in Utah. Hillary Clinton lost in 2016. She wrote some books and made some speeches. Has there ever been a victorious party more obsessed with the candidate they beat. Has there ever been a faction within her own party more focused on the candidate they lost to? What Makes Hillary So Different? Every single person who has ever run for President is a narcissist and a power hog. It’s why they run for President. Anyone who ever had an ego big enough to run for President did not “retire quietly.” To say otherwise is ahistorical nonsense. Most defeated candidates (non-Former President Division) stayed vocal and active in politics. Many served in other high profile political offices. Most made at least one more attempt at Presidency. 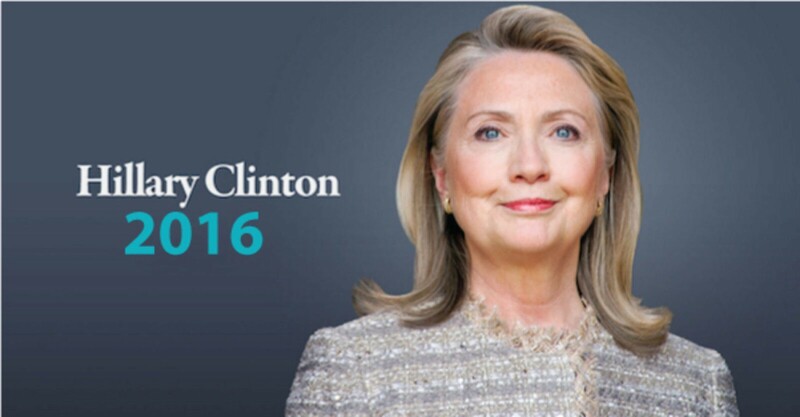 Hillary Clinton is right in line with other defeated Presidential candidates. Her current activity has clear precedent. The complaints about it are largely coming from misogynists and sexists who have no clear understanding of history.